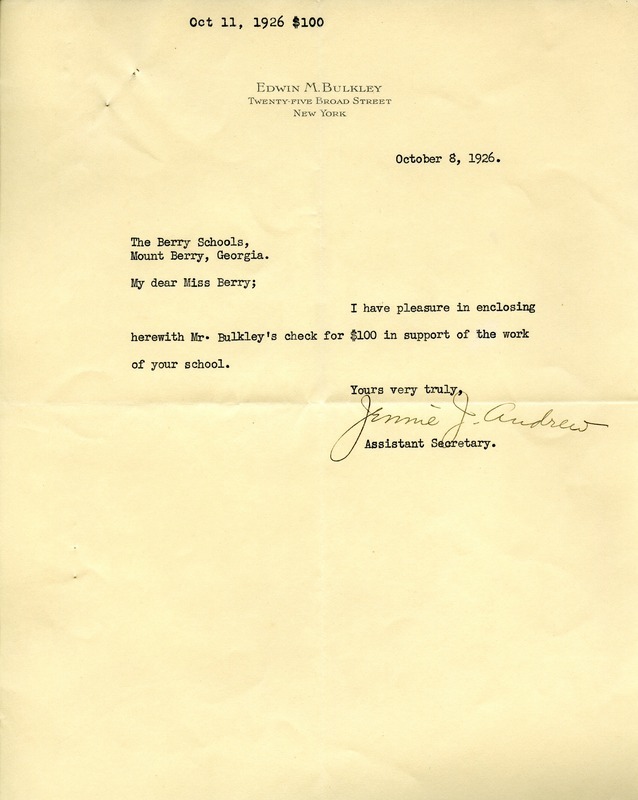 Letter from Jimmie J. Andrew , Secretary to Edwin M Bulkley, with donation check of $100.00 in support of the work of school. Jimmie J. Andrew, “Letter to Martha Berry from Jimmie J. Anderew.” Martha Berry Digital Archive. Eds. Schlitz, Stephanie A., Meg Ratliff, Bob Williams, et al. Mount Berry: Berry College, 2011. accessed April 20, 2019, https://mbda.berry.edu/items/show/1105.